We are just gearing up for a weekend of packing up your April Belles & Beasts boxes, ready to go in the post. We can’t wait for people to start receiving them because we have LOVED putting this box together and we are so excited to chat about the amazing Beauty and the Beast retelling that will be included. It’s so, soooo good! Just before our social media becomes flooded with our lovely members posting about our April box, we thought that we would share with you a list of all the beautiful things that we included in our March Time Travel box. Bookish goodies: With thanks to our friends from Rock the Boat and Scholastic. So there you have it! We really hope all of you March members had as much fun unboxing this box as we did planning it. We’d love for you to keep tagging us in your photos because we love seeing our box items in use and we know our box suppliers do too! 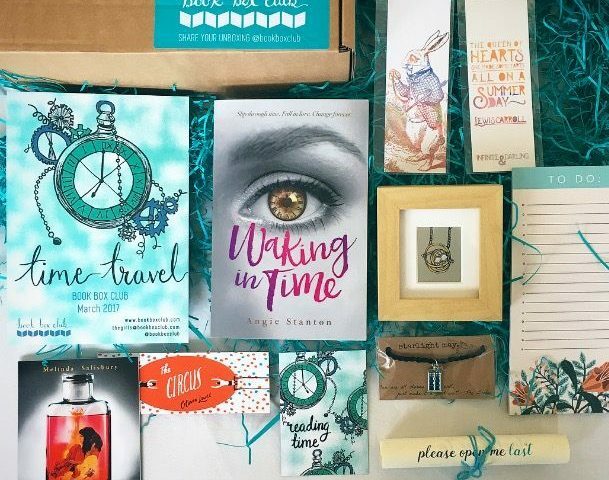 If you are interested in taking a sneaky peek into some of the lovely books and goodies that we have sent out over the months then click here to see the past boxes page on our website. 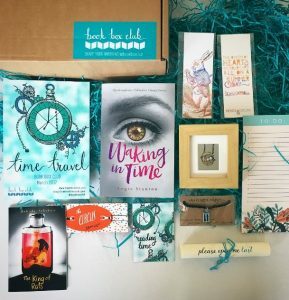 If you are not a Book Box Club member yet then what are you waiting for? Our May boxes are now on sale and the theme will be Wizards at War, so if you are magically inclined and a fan of Harry Potter or the worlds created by Leigh Bardugo, V.E. Schwab and Alwyn Hamilton then you are going to love our next featured read. If you need any more persuading then click here to get in the mood for some sorcery with our May theme reveal trailer, made for us by the very talented Hax Ahmet. Wishing you all a lovely weekend full of long lie-ins and even longer reading sessions!